Early December I told someone I haven’t been ill in two years and how proud I was of myself. I’ve never should’ve said that, I jinxed it! The other day I had a cold. Asthma, colds and allergies go pretty well together. They’re like some sort of synergy to make your body deteriorate within days. And when the cold is gone, it takes about 3 to 4 weeks to run without painful lungs and to run my regular pace. So I was running fine for about 2, 3 weeks, suddenly last Saturday my throat started to hurt. No, no, no! I took extra vitamins, fruit, thee with ginger, lemon and cardamom. But it was too late. Down with a cold again. My lungs are sore, just can’t get enough air. Now I’m actually really worried. If this is the new thing, to get ill each month, Oslo is never gonna happen! After this it will take me at least 3 weeks to get my lungs back in shape to run without pain. I’m just really worried. 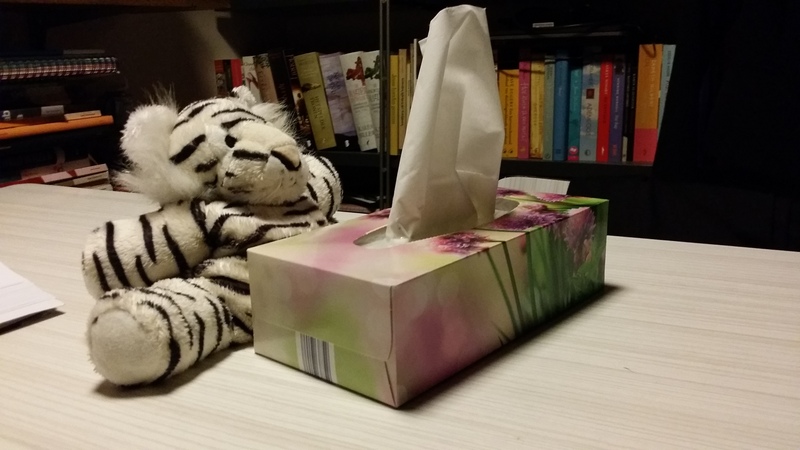 How do you deal with colds and other stuff when you have a fitness goal to reach?